Using a sunbed is a quick, convenient and easy process but there are a couple of things to ensure before our Tanning Spa salon. Tanning sessions should be built up gradually as parts of the body less exposed to the sun will require shorter session times e.g. under the arms, sides of the torso. Once inside our locked rooms and changed you should use the sanitiser available to wipe down the bed and remove all jewellery. If using stand up equipment, stand in the centre of the chamber facing the doorway with your arms above you on the hand straps. No oils are permitted as they’re dangerous to you and the equipment. We supply a range of tanning lotions designed to improve your results. 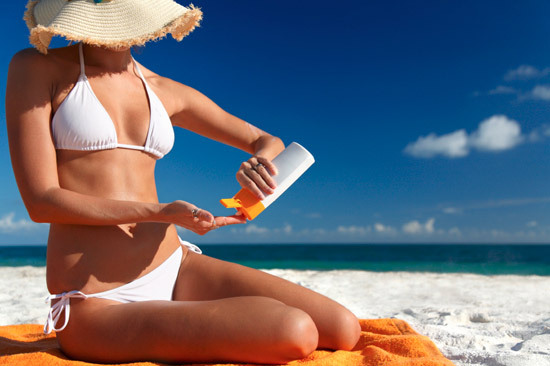 You should wait a minimum of 24 hours before your next tanning session or before bathing in natural sunlight. If you experience any redness you should wait until these have disappeared before commencing on your next session. We recommend that you moisturise your skin thoroughly to achieve optimum results and our range of tanning lotions can help to maximise the effect of our beds. If you suffer any abnormal reactions to your tanning time during or after the session you should stop immediately and seek medical advice.